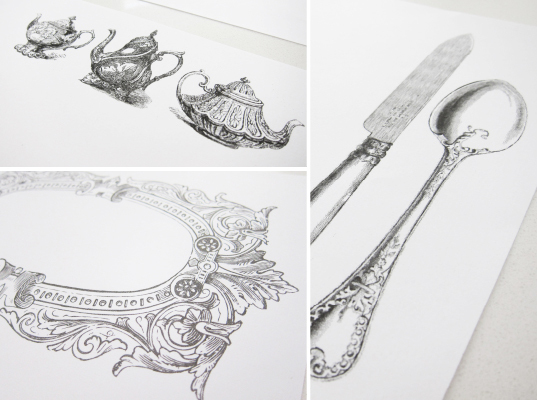 I love, love, love vintage-inspired sketch graphics like this that rely on details instead of color to draw your eye. 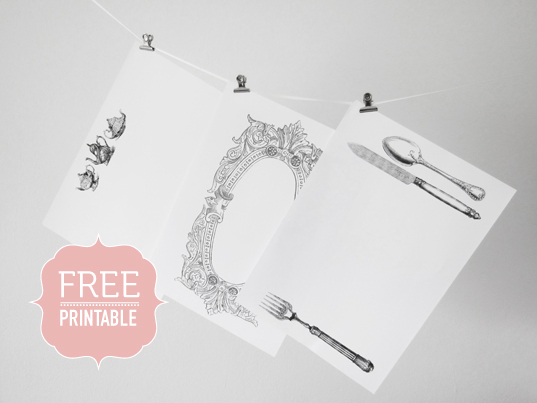 Now I just need to think of a dinner party to plan around these free vintage paper placemats, made available to us by The Pretty Blog. Head over there to download these pretties, and click around for other wedding- and party-centric inspiration!